We are uniquely located in our community, close to the beach boardwalk and downtown area. We are also privileged to be surrounded by the Mulligan’s Hollow recreation area which features an outdoor skate-park, basketball & tennis courts, soccer field, Imagination Station play area and the Ski Bowl. The Y is the BEST VALUE for your dollar in health, fitness and wellness programs for you and your entire family. Whether it’s our Youth Sports & Fitness Programs, Special Family Events, Pre-School, or Adult Fitness Classes – the Y is here for everyone. No other single membership provides so many ways to strengthen your spirit, mind, body and community. FREE – JUMP START Wellness Program available for Members only. Let us help you meet your fitness goals! 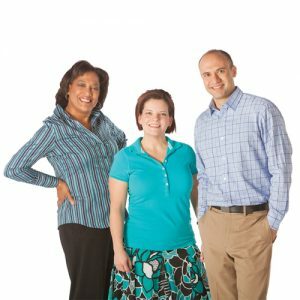 PLUS – Nationwide access: more than 2,400 YMCAs across the country will honor your YMCA membership as part of the YMCA’s AWAY program (Always Welcome At the Y) & FREE access to Michigan YMCAs. We offer annual or continuous memberships, various payment options, and provide financial assistance when needed. The Joining Fee helps cover the administrative cost to your membership, membership card & photo, processing fees, and account maintenance. This is a one time fee for our loyal members to begin a membership account as they start to enjoy the benefits the Y has to offer. Members who cancel and then rejoin within 45 days will not be charged a joining fee. * Members must be immediate family, live in same household and be listed as dependents on IRS 1040. Annual Membership is a one year contractual commitment. Automatic monthly deductions can be made directly from a credit card, debit card, or through your checking or savings account each month. There is also a pay in full option. Cancellations for Annual Memberships can only be made due to health reasons or relocating more than 35 miles outside of the area and requires a 30 days written notice. A $75.00 cancellation fee will be charged for early cancellation of an annual membership. A one time Joining Fee plus the first month’s pro-rated amount is due upon sign-up. Monthly bank/credit card draft Annual Memberships may be placed on hold for up to 3 months per year for a monthly fee of $10 per month. If placed on hold within the one year commitment, the contract will extend by the number of months the membership was on hold. A 30 day written notice is required for any membership hold. Check with our Welcome Center for our Monthly Special Discounts for Annual Memberships! A Continuous Membership is one that does not expire and requires no contractual commitment. Automatic monthly deductions can be made directly from a credit/debit card, or through your checking or savings account each month. There is a pay in full option. Continuous Memberships on a monthly bank/credit card draft may be placed on hold for up to 3 months per year for a monthly fee of $10 per month. A 30 day written notice is required for any membership hold. Your membership will resume billing after the third month. For Financial Assistance, see our Community Pricing option.